Find here deals and coupons Dhg shop. DHGshop is the first online shop in Italy for the sale of fibers and fabrics for needle and water felt and is also one of the best known brands abroad in this sector. It sells materials all over the world with fast and efficient shipments.Mounths ago we introduced knitting and crochet item sto improve our target. 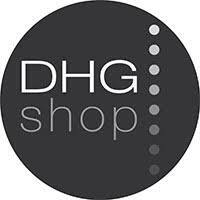 DHGshop is a brand already on the market for several years. The product is addressed to a niche audience, but the market is growing rapidly thanks to the continuous introduction of new products and promotions. The campaigns will therefore be very dynamic and diversified.